This one is dedicated to you, Mr. Spongebob. As my skin is adjusting to the fall season, I figured I would make an attempt to stop any breakouts that were on the horizon. This time around I used some super ripe pineapple I had in the fridge. Tumeric is my favorite skincare ingredient, so, naturally there is plenty in here. What do the ingredients do, Jenn? The enzymes and natural abundance of malic acid in the pineapple help to exfoliate and brighten. The tumeric is amazing for brightening and anti aging. It makes you glow! 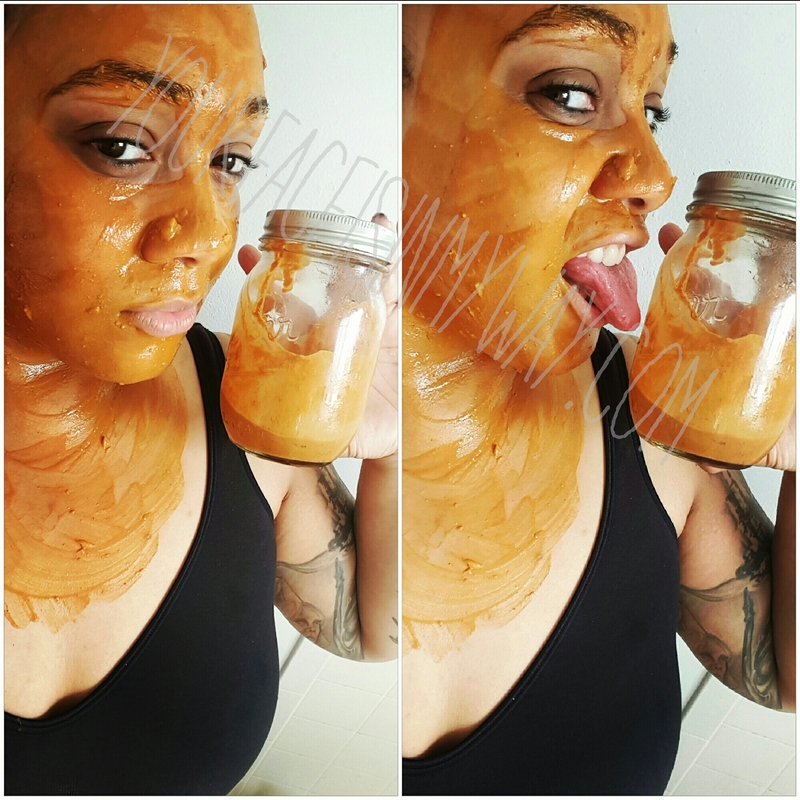 The castor oil is used for added moisture. 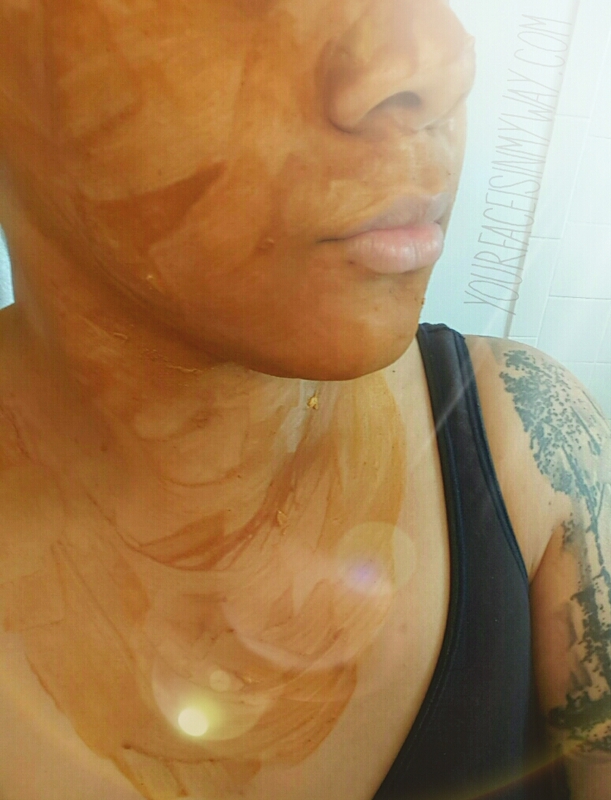 Moroccan Red Clay is exfoliating and helps control oil. Milk has latic acid, it is anti aging and smoothing. It also makes the tumeric less likely to leave you bright orange/yellow. Mix it all together with a wooden spoon in a glass bowl. I use a glass bowl because Tumeric will stain plastic. You can store the remaining mask in a glass jar in the fridge for about 3 days. I like to use this treatment 1-3 times per week or as needed. Leave the mask on until it dries. Rinse off. Like, in the shower rinse off because there will be pineapple pieces all over the bathroom. Use your usual toner afterwards. 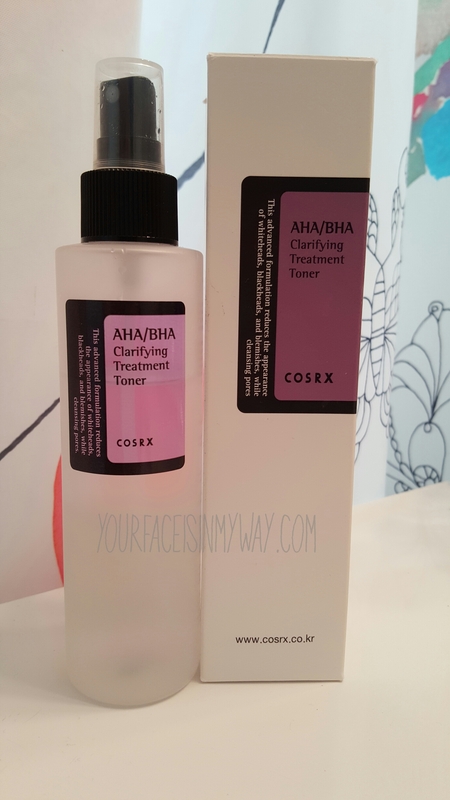 My current favorite toner is Cosrx AHA/BHA Clarifying Treatment Toner. What a lovely idea for cleansing your skin! & I LOVE the mention of using pineapples; it honestly isn’t emphasised enough the variety of what pineapple enzymes can do! It truly is amazing how the quality within really ripened fruit can attack skin blemishes. Have you tried using banana or grapes? They’re also great for cleansing and stopping breakouts on the skin. I really love how you suggest to use a toner after the mask as that really cements the whole cleansing process! One little fun fact to add to your post: it’s essential to cleanse afterwards (as of course you have mentioned), yet cleansing before the treatment is just as important! One easy way to do this is through the sensual experience of steaming your face. This is simply done by soaking a face towel in steaming hot water, squeezing out all the water then laying it on your face for a few minutes! This opens up your pores to begin further cleansing. Clear and soft skin is something I believe everyone truly wants; whether or not they say it out loud or even think it to themselves.